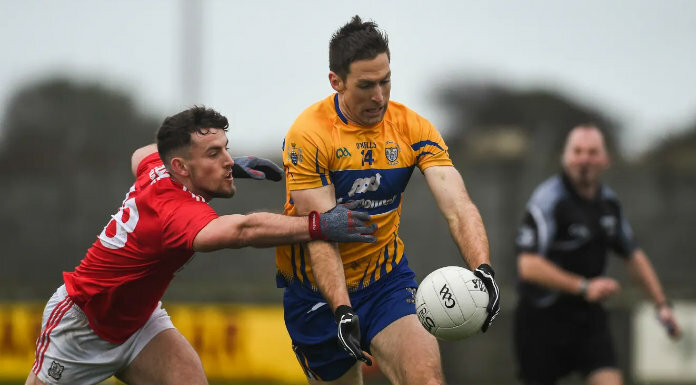 Clare have beaten Cork in the Allianz National Football League by nine points to move just one point behind the leaders in Division Two. David Tubridy, Conal O hAinifein and Kieran Malone got the goals for Colm Collins’ team as they ran out comfortable winners. Clare FM’s live coverage came in association with Tubridys Bar and Restaurant Doonbeg. Listen Back now to the full match with our commentary team of Syl O’Connor and Joe Garry.